As with most weeks, we had no idea what to expect this week. Research online kept pointing to recipes involving guinea pigs but luckily ready-to-cook versions weren't available in our local supermarket or butcher and we didn't think it would be appropriate to visit a pet shop...I guess the true Ecuadorian dining experience will have to wait for a trip overseas. 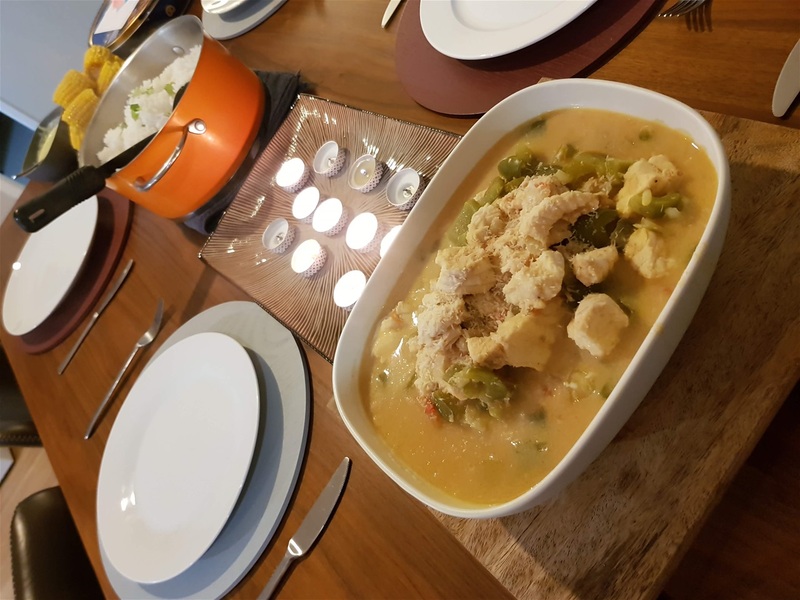 In the meantime, I managed to find some yummy looking recipes with ingredients that were easily sourced close to home that would still give us an authentic taste of Ecuador. 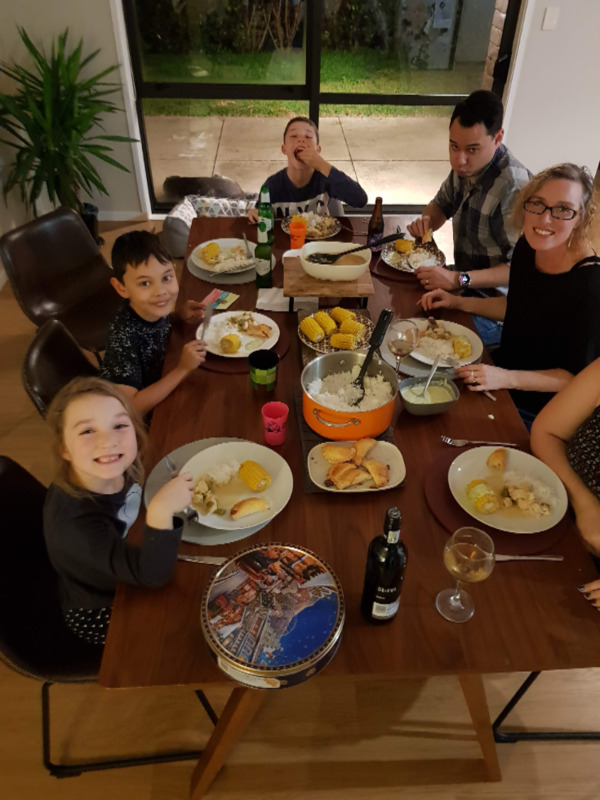 This week, our friends Maree & Leon Ross and their 8 year old sone Kaidyn joined us for dinner too. So empanadas seemed to be a common food in most areas of Ecuador. We decided to make the baked cheese ones. See the recipe here for how to make the dough and how to make the filling. Chef's Notes - we followed the recipe and cooking times exactly for this one. They were easy to make and delicious. The sugar topping was a little odd and we would probably not add that final step again but these were certainly a hit (especially when dipped in the cilantro queso fresco sauce that we made for our corn). The recipe for this one was from the same site as all our others this week. Our son, Harrison, loves corn on the cob so we thought this would be a nice addition to the meal. 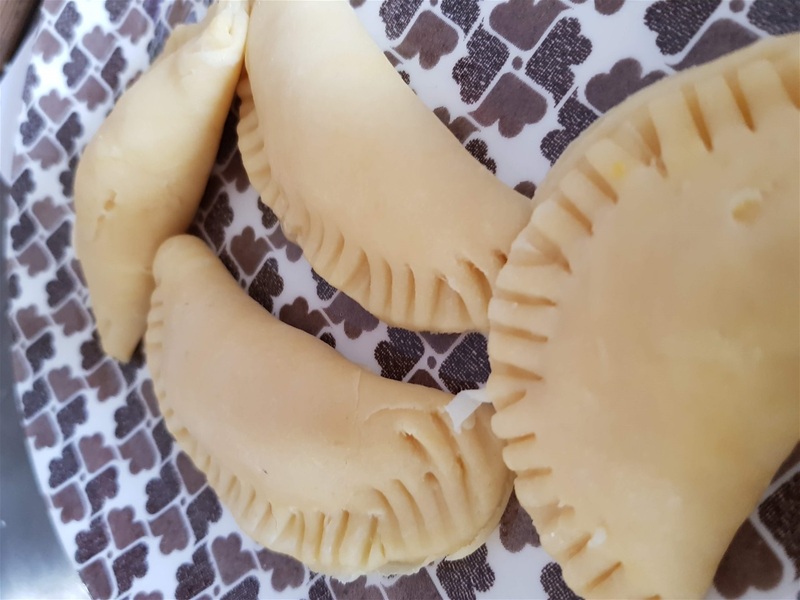 The sauce was our all time favourite and as well as serving it with our corn, we also dipped our cheese empanadas in it too....soooo good that we will definitely be making this again. 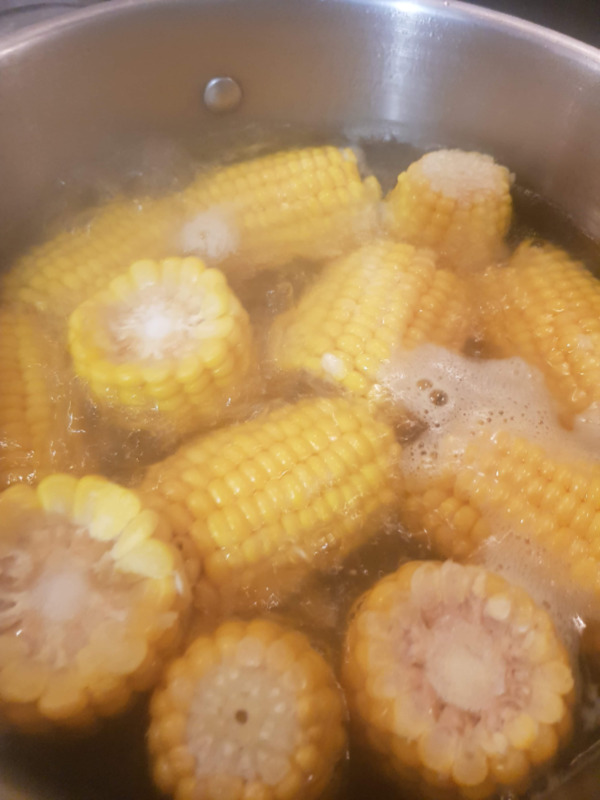 Chef's notes - we boiled the corn for 10-15 minutes until soft and then finished off in the oven whilst our empanadas were cooking. Maree was the chef for the sauce and added a clove extra of garlic to this dish as we're all garlic fans! So after deciding not to source guinea pig for any of our recipes this week, we opted for a coastal fish dish. The pescado encocado was delicious and a hit with both our family and our guests. It is another dish that will definitely be made again. We decided to serve with rice but plantains are another common side dish to serve this with. Chef's notes - we used a combination of monk fish and hoki to make this dish instead of halibut. We also had to use bottled lime juice instead of fresh due to limes not being available at this time of year. Seeing as we had guests for dinner, we decided that we would do two very different desserts. The first was Espumillas which is a common street food in Ecuador. It translates as guave merigue cream. It was easy to make and the overall reaction from family and guests was that it was delicious. Unfortunatley the texture didn't suit Kaidyn and his reaction wasn't great but the rest of us enjoyed it. Chef's notes - we couldn't source fresh guaves so instead used 2 cans of guave. We did remove the seeds and thankfully the skins were already removed. We served our espumillas with shredded coconut and sprinkles! The second recipe was Flan de Pina or pineapple flan. 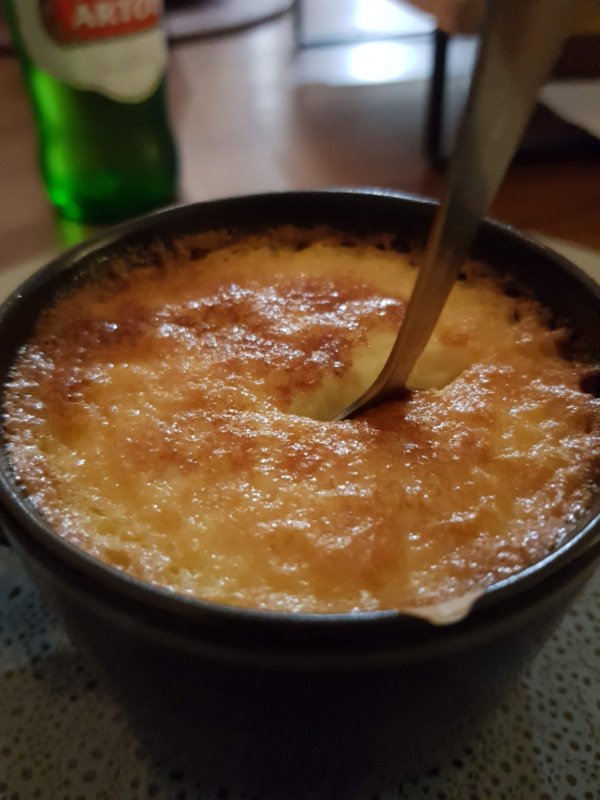 This was a tropical version of creme caramel. 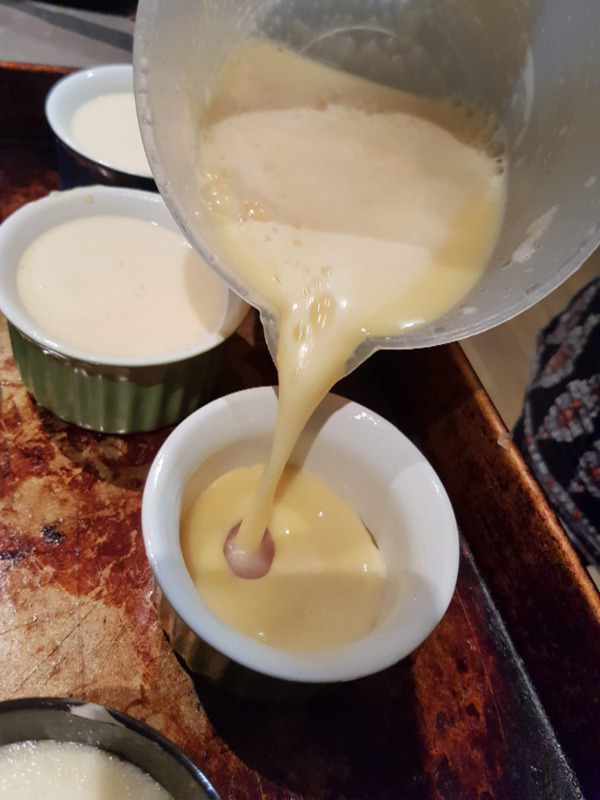 This dessert didn't quite turn out as planned as once the ramekins were flipped, the caramel stayed in the ramekin whilst the pudding came out. The caramel had set so hard that it was impossible for us to remove from the ramekins or eat but we certainly had some fun trying to get the caramel out and eat it! Having done a little research today, it would appear that our caramel layer was far too thick so didn't liquify whilst in the oven. Note the recipe is for 10 servings and we made 7 with the same amount of caramel! Chef's notes - the pudding was cooked in 30 minutes, not 40 in our fan assisted oven but the caramel layer was so thick that it didn't have time to liquify. 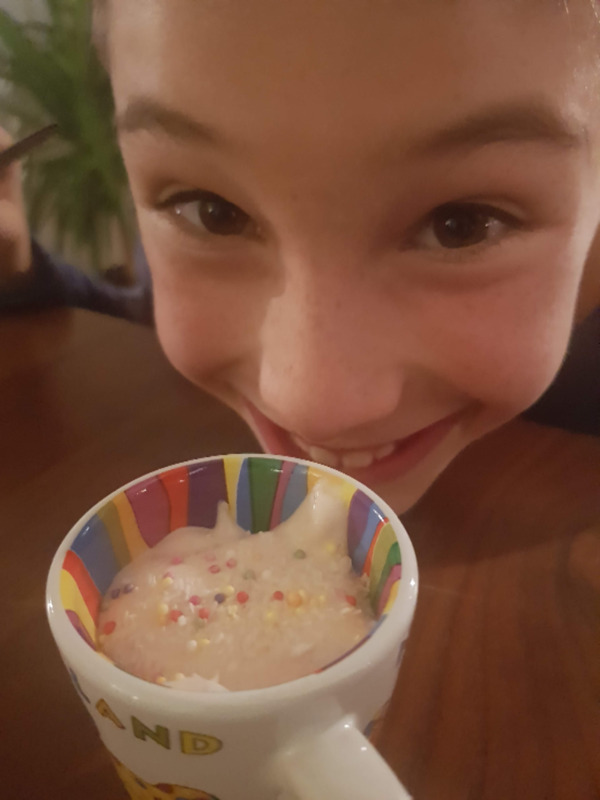 We also had to adapt the recipe slightly as our fresh pineapple was about a cup short of juice for the recipe so we substituted for tropical juice that we already had in the fridge. 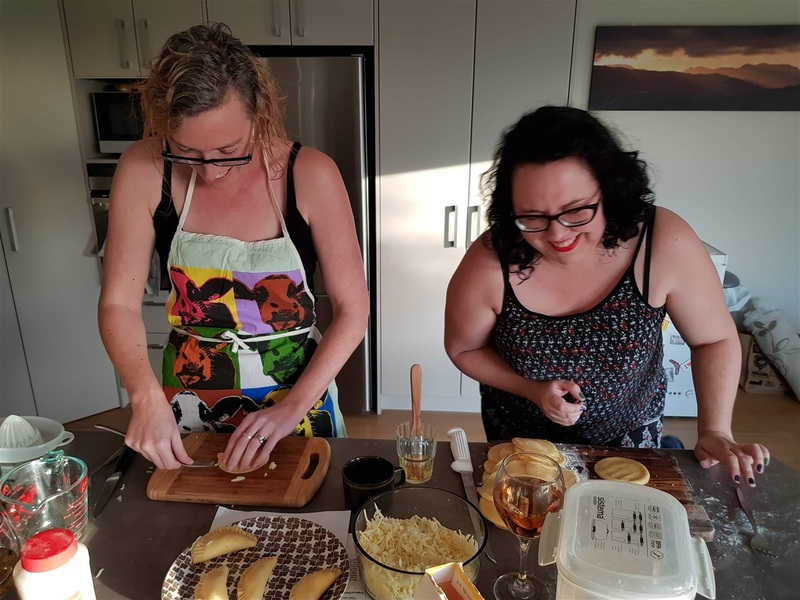 We actually had an interval between the main course and desserts whilst we made this and we were a little tipsy on wine during the preparation and cooking process.